Sometimes the darkness and I hide from color devouring aliens in the hold of a cheaply made boat. I sigh. The darkness is probably right. I think about this for a bit. The darkness does not answer, not for a long time. 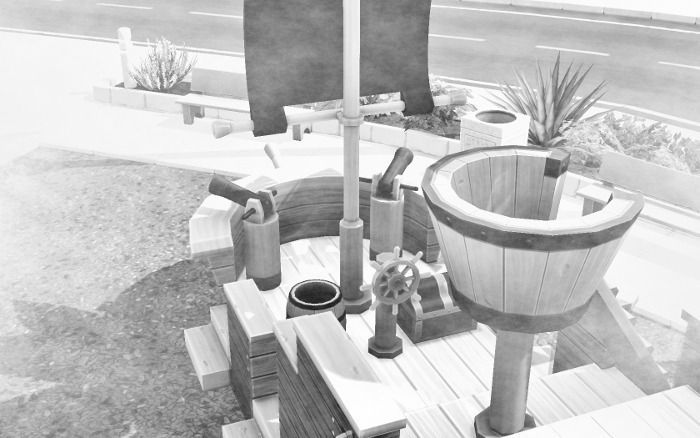 We hear heavy thumps on the deck of the boat, directly above our heads. Sometimes the darkness and I sit in the hold of what I am now fairly sure is a toy boat, and we consider a lack of death. I think that it would be rather odd to be eaten by nocolor aliens and to not die. Would my consciousness be divided between numerous digestive systems? I don’t think I would like that very much. The darkness says that it has seen death, and that I wouldn’t like it anymore than I would like digestive systems anyway. 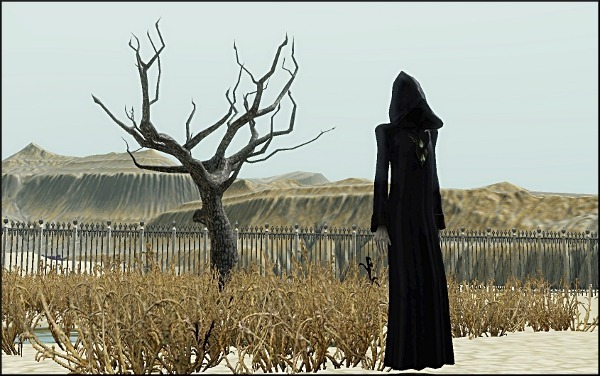 It says that death is a barren wasteland filled with weeds and iron fences and dead trees. It says that there are black-robed figures who float to and fro across the wasteland, playing tricks on the poor lost souls. It says that its favorite trick is the one where the black-robed figure makes an illusion of the lost soul’s family and friends, and the lost soul thinks that it is alive again and that it is home, and it runs towards its loved ones. Then the illusion melts into flames, the faces of the pretend loved ones screaming in agony. A sliver of white light appears at the far end of the boat’s hold. Sometimes the darkness and I are dragged up out of the hold of a toy boat and into a world devoid of all color. The Lovesys No Colors are saying words. I think they’re saying words, anyway. I don’t see any mouths on their faces. If they have faces. They do have legs, though. I know that. Lots of legs. Some of the legs are still holding me in place, by the boat’s wheel. Their voices are very monotonous, and they keep going on and on and on, and I am getting sleepy. I wonder if there would still be color in my dreams? When they eat me, will the bits of my consciousness perceive the color in their digestive systems? Do they have color on the inside to be perceived? On the outside they are shimmery and a sort of light gray and not very solid. Actually, do they even have digestive systems, what with their distinct lack of mouths? I hear myself snore, and I realize that I’d nodded off. I thought being captured by shimmery colorless aliens with lots of legs and a propensity for eating humans would be more exciting, somehow. The darkness is being held by the barrel near the wheel, by more gray shimmery not all there legs. It hisses at me, but what’s left of its jaw doesn’t move. I think it’s hissing at me in my mind. I can understand its words. Things are about to get more exciting. Sometimes the darkness and I are badass warriors. The darkness slices through the Lovesys No Colors like old rotting bones slicing through graveyard dirt as they rise up to consume the living. The shimmery gray not quite all there legs that were holding me fall to the floor of the boat, and I am free. The voices of the Lovesys No Colors cry out. They are not monotonous now. They are high and squeaky and full of a dreadful fear. I look at the darkness. Its eyes are no longer gray. They are a blazing red. It hisses “MOVE!” and I scramble up to the crow’s nest. I can see my trash can from up here. It looks very forlorn and sad. I think it misses its color and sparkle. I am considering getting down from the boat and going to comfort the trash can when I hear that sound again, the one I haven’t heard since the swamp. The sound like the heart of the universe being ripped apart from deep inside a black hole. The high squeaky voices of the Lovesys No Colors go silent. I look down at the deck of the boat. The shimmery not quite there grayness has disappeared. There are small bits of color here and there. A bit of brown on the deck, a bit of green on the sealed chest. And there is the darkness. It’s not wearing its bones anymore. It looks up at me with its red red eyes. It says, “You can come down now,” and it holds out a shimmery gray not quite all there hand. Sometimes the darkness and I sit on a bench made out of a log. The bench is next to a bright white light. There are insects buzzing around the light. They are confused and scared and they keep going around in circles. We left the desert a while ago. This place feels much cooler. I like the trees. If there is no Reality, then what am I? What is the darkness? What are these trees? This bench? The light and its insect circlers? I watch them fly around the light for a while. They buzz and buzz and buzz, and they want to go home. But there is no home. There’s just the endless circle around the light that they think is home but that is not actually home. I ask the darkness if we can go home. One of the insects collides with the light. It makes a crackling noise as it dies. Sometimes the darkness and I shimmer and shine, like the space around a waterfall. I am so sick, and I want to go home. I want to go home I want to go home I want to go home! I beat the shimmer in the air with my fists and I scream. I scream and I scream but all I hear is the boom of the waterfall and the voice of the darkness, saying that there is no home. The shimmer forms arms, and I remember that this is the darkness now, the gray not quite all there-ness. The arms circle around me, and I stop screaming. My arms fall to my sides. The water falls into the pool and the branches of the trees shiver as a breeze blows through. None of it is real and nothing will ever be real and it’s all just skins, it’s skins all the way down, and I will never go home again and home was never real in the first place. Sometimes the darkness and I sit cross-legged on the grass. I pull up bits of the grass. I think I will weave them into a crown for the darkness. I touch a blade of the grass. I think his name is Joe. Joe thinks a lot about life. He notices the passing of the sun and the clouds and the moon and the stars. He bends under the weight of the deer and the squirrels and the birds that walk over him, and then, after their passing, he pops back up. He feels the dew on his skin in the morning, and he thinks that it is good. He likes his neighbors, Susan and Jerome and Blue. They talk sometimes, about the dew and the sun and the giants who walk above, and what it all means. I pull him up out of the ground. Goodbye, Joe. I am sure that Susan and Jerome and Blue will miss you. I finish the crown of grass. I place it on top of the shimmering gray not quite all there amorphous mass that is the darkness now. Sometimes the darkness and I walk along a trail that runs through the silence. There are ferns by the trail. I run my finger along their edges. I feel the spaces where they are and the spaces where they aren’t. The spaces where I am tangle with the spaces where I am not. I try to imagine how that looks from the outside. If someone else looked at me, would they see a ribbon of human flesh curling in on itself as it moved along the trail? If so, that would not be the strangest thing they would see. The darkness floats along the trail, multitudinous foggy gray not quite all there limbs sticking out in every direction. The mountains in the distance are very flat, I think, and perhaps the least real of all non-real things. The air here among the ferns is still and warm, but the mountains are painted with a facade of snow. My mouth becomes a space where I am not, and I remember that we are walking through the trail of silence. Sometimes the darkness and I come to the end of all things. It turns out the mountains really are flat. We are not on the trail of silence anymore, and my mouth is a space where I am. We step over and through ice-capped mountains. I reach out and touch the clouds. They feel like canvas. They are so small and so still, and there are mountains beneath my feet and trees that come up to my big toe. I think perhaps I am a god. The darkness is behind me. Its eyes glow red in the midst of its shimmerskin. I look down at my fingers, where they are touching the clouds. I don’t know. They look different to me than they did before, in Midnight Hollow. I think I do have a new skin. It’s still human. It still has fingers and toes and a rib cage and lungs and a heart and elbows and an appendix and all those sorts of things. But it is different. It is. I wonder what’s behind the painted on clouds and mountains and trees. Maybe it’s another universe. It could be a vacuum. Maybe if I poked a hole in the clouds this universe would be sucked into the vacuum and everything would die, the buzzing insects and the grass and the darkness and me. I try to poke the clouds, but they don’t give at all. The darkness floats above the tiny trees. Its eyes go dim for a second. Only a second, and then they blaze up bright red again. The darkness doesn’t answer. I watch the shimmery gray not quite all thereness retreat. It’s leaving me. It’s leaving me here alone. I beat the clouds until my knuckles are raw and bleeding and I scream and I scream, but no one ever answers and the clouds never give. I stop, because it’s pointless and nothing is real and also my hands hurt. I sit on the flat brown ground, and I wait for the darkness to come back. 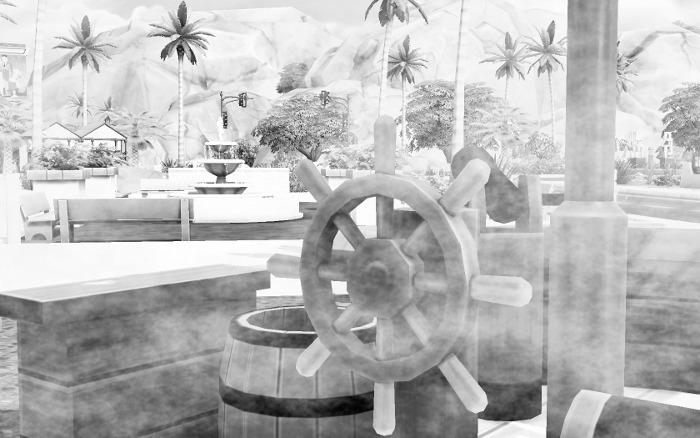 This entry was posted in Extras and tagged darkness, existential, fiction, Sims 4 story, story, storytelling, surreal, writing. Bookmark the permalink. 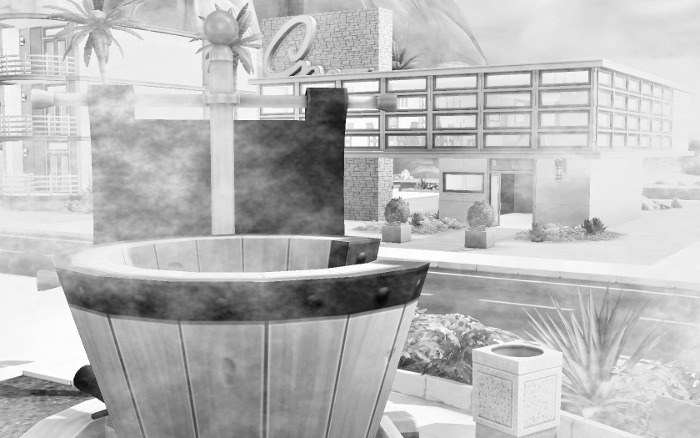 I see that the darkness and the narrator didn’t fancy Willow Creek (the bright blue) very much, and moved on quickly to Oasis Springs and Granite Falls. 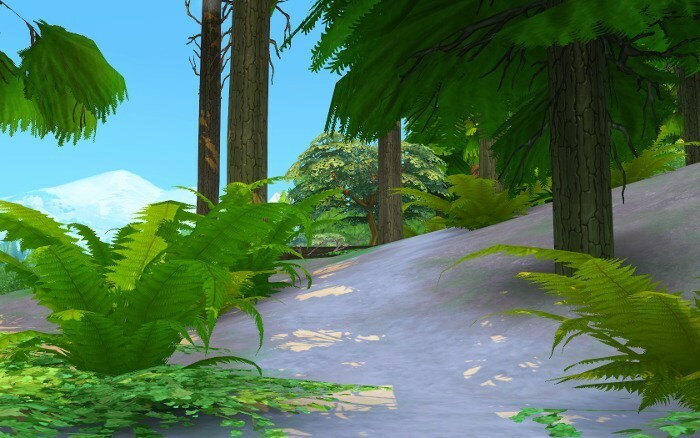 You got some great shots of Granite Falls, by the way, of the mountains. 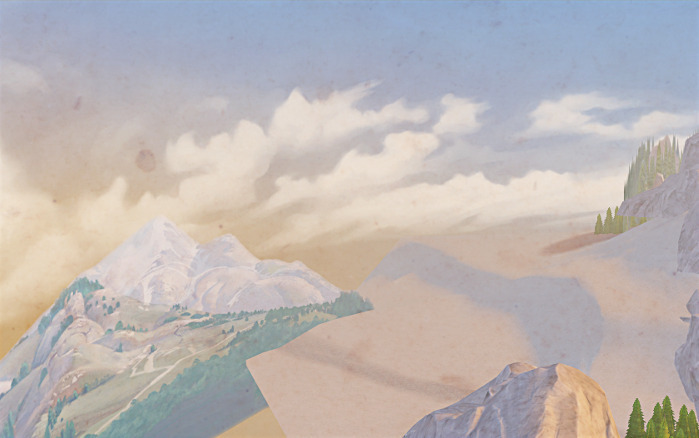 Maybe I just have Game Aware on the mind, with the symposium, but it seemed to be a part of this narrative, with the narrator wondering about what is real, and less real of the not real things, etc, and asking who painted it, and asking if he poked a hole in the fake clouds, could he get out? Well, we’ll go back to those places, since that’s all Sims 4 has right now. If they’re a sim…ah reality – digital realities are often so fragile. I’d nearly forgotten about the color-devouring aliens so perhaps this picture isn’t all about warm happy moments. Perhaps the black & white lends an element of fear or danger in the void. The narrator would probably be instatiably curious and then wouldn’t be a good worker, questioning everything. I wonder if the aliens are outside time or on another dimension like the darkness and the narrator. I can’t imagine the narrator would be pleased though if eaten and not consumed in death. What must it be like to be inside the belly of a color-devouring alien and not die? I’m guessing the darkness and narrator move onto a new plane of existence or escape the aliens somehow. Darkness and the narrator sitting within a toy boat is an interesting image. Did they shrink? I suppose if the darkness takes on skins, the darkness takes on different shapes and forms so shrinking wouldn’t be implausible. The narrator is along for the ride so I guess it isn’t implausible for the narrator either. Your description of death is beautiful and eerie. I’m not surprised the darkness laughs at “the trick.” I totally recall this happening in game to me though. I can totally imagine the darkness getting pissed off at the aliens and fighting back. I think it’s interesting the narrator thinks back to the trash can and thinking it’s a comfortable place to be, though I suppose anywhere away from something that’s about to eat you would be comforting. Interesting line about “the heart of the universe being ripped apart from deep inside a black hole.” I’m wondering how the darkness and narrator transition between worlds. This sound, gut-wrenching, horrifying, and mesmerizing, at least in my mind, does it echo the transition? Does it bring the transition to life likeness or is it merely just now that it happens to rip apart? I’m sorry if this isn’t making sense since my brain is tired and I’m all rambly right now. The transition to color was startling and awesome. I love those trees. Beautiful image. Is the narrator actually sick or just tired of traveling and homesick? The image is beautiful. I can’t imagine wanting to leave a pretty place like the waterfall, but I guess, the narrator and darkness have been traveling for a long time and I can imagine they are tired. I’ surprised the darkness apologized, almost as if it is its’ fault that the narrator can’t go home again. The trail of silence reminds me of the Labrinyth of Silence I mentioned in my last comment on your last post. The ferns in this picture are especially beautiful. I love ferns. The spaces where I am and the spaces where I am not is so deep and there are many levels here. I wish my brain was functioning well so I could explore all of them, but right now it’s not. The beating on the clouds and the “let us out of the universe” – another section with multiple implications. It makes me think about the Sims becoming sentient and recognizing they are stuck in a game and that reminds me of a cross between the anime Log Horizon or SwordArtOnline. And if you don’t know what I’m talking about, I’d be happy to explain after my brain becomes less fuzzy. I hadn’t thought of where the aliens come from, actually. Hmmm. They’re obviously not the in-game aliens. And I’ll admit to not thinking about the size of the boat either. I guess I assumed it was big enough to hold them. Oh, that’s right, you don’t have Sims 4. The boat is part of a playground. There’s also a rocket ship. They are pretty large objects in game, and multiple children play on them at once. I like the trash can. 🙂 I think the narrator does too. There is more about the transitioning between the worlds in a later chapter. If you mean the darkness taking a new skin, which is what that sound represents, the narrator doesn’t know anything about that process or understand it at all. The trees are nice! 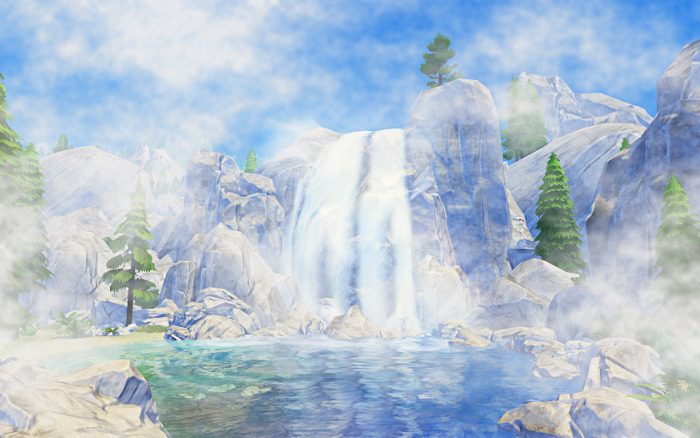 That’s Granite Falls, the world that came with the Outdoor Retreat pack. My most favorite smell ever in the world is freshly mown grass. 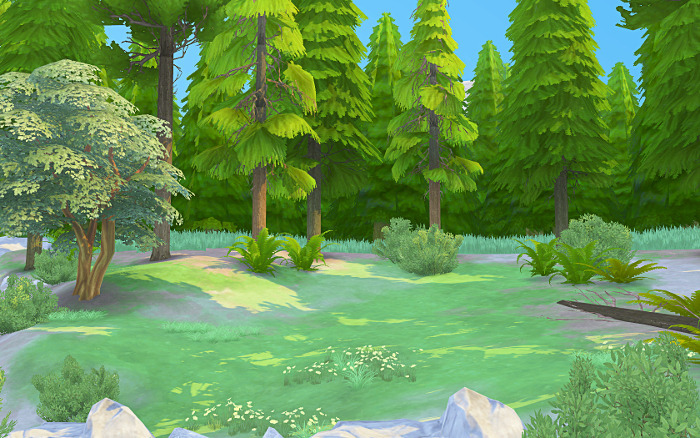 Granite Falls is very foliage-rich. 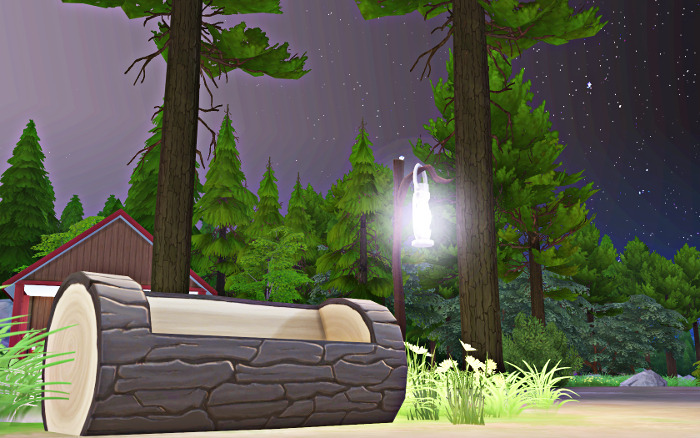 🙂 It’s sort of like the equivalent of the woodsy forest camping destination in the Sims 1 and Sims 2 vacation packs. Yep, I do think a possible interpretation of the story is that the narrator is becoming more aware of being a Sim. I’ve heard of Sword Art Online, but not Log Horizon. Awww, thanks! 🙂 *hugs* I hope you got some rest. I figured the darkness was responsible for the narrator’s inability to return home. I can’t imagine what else would be keeping the narrator, other than perhaps inability to travel between worlds without the darkness… maybe…stretching here. My husband introduced me to Log Horizon and it’s on Crunchyroll. It’s similar in some ways to Sword Art Online, both sets of characters stuck in a game world, but it’s got many differences. In Log Horizon, there’s much more community than lone-wolf, more politics, and the characters are happy, well, maybe not happy, but okay with being stuck in the game. This is their reality and they accept it. And they can’t die… at least not in the same way they can in SAO. It’s good, and I must say, I love Akatsuki, ninja girl! 😉 There’s also a NPC character who becomes cognizant and game-aware (which is awesome) and CathyTea was kind of talking about that over on the forums.